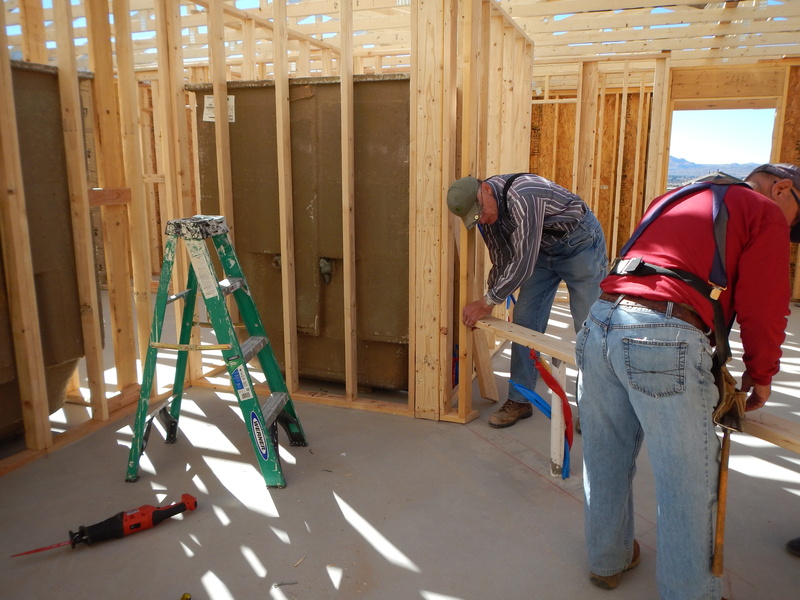 While I was in Las Cruces there were four houses being built side by side, each in different stages of construction, which allowed for a wide variety of tasks and learning opportunities. I did quite a range of things in two weeks including flashing and installing windows, framing, cutting and installing corner beading, priming and painting, erecting walls, hanging doors, and installing locks. Having no previous power tool (really, any tool) experience I also learned how to use a chop saw, skill saw, drill, and saws all which was pretty great. The jobs I spent the most time doing were framing and erecting walls and they were also my favorite. I loved the puzzle-like fitting of the studs and door frames and the precision of lining up the boards and hammering in the nails in general. 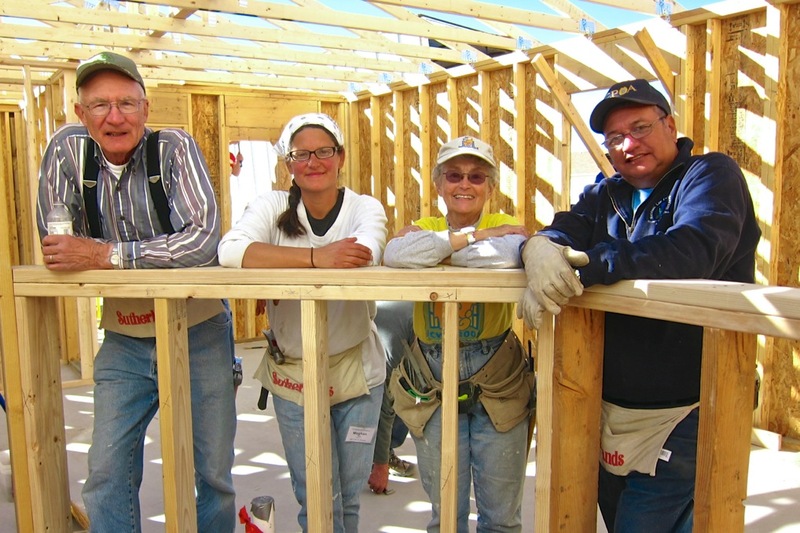 The opportunity to help in making a difference in families’ lives was undoubtedly the best part of my Habitat for Humanity experience, but my fellow volunteers and Habitat workers were a really close second. Honestly, these were some of the nicest, kindest people I’ve ever met. 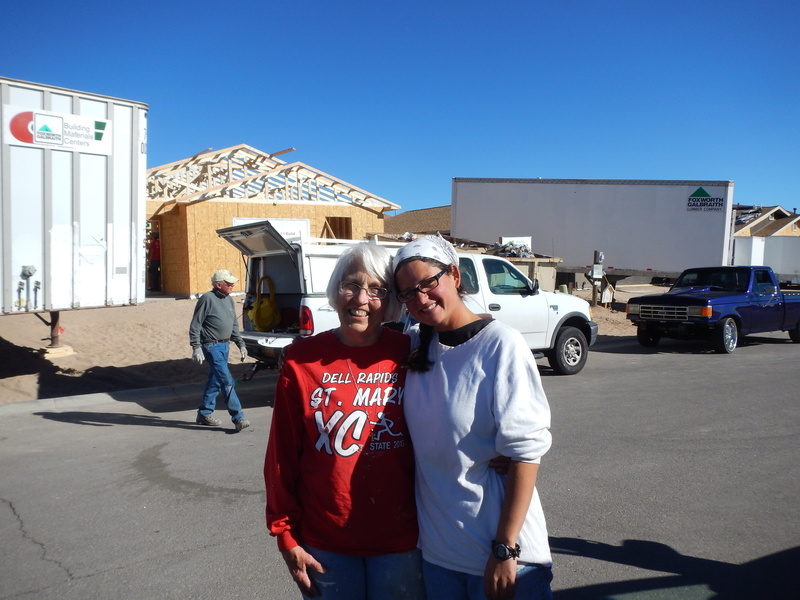 Because I was there through the RV Care-A-Vanner program as I mentioned, the other volunteers were a bit older than me and thus full – and I do mean FULL – of knowledge and skills that they were more than happy to share with me. 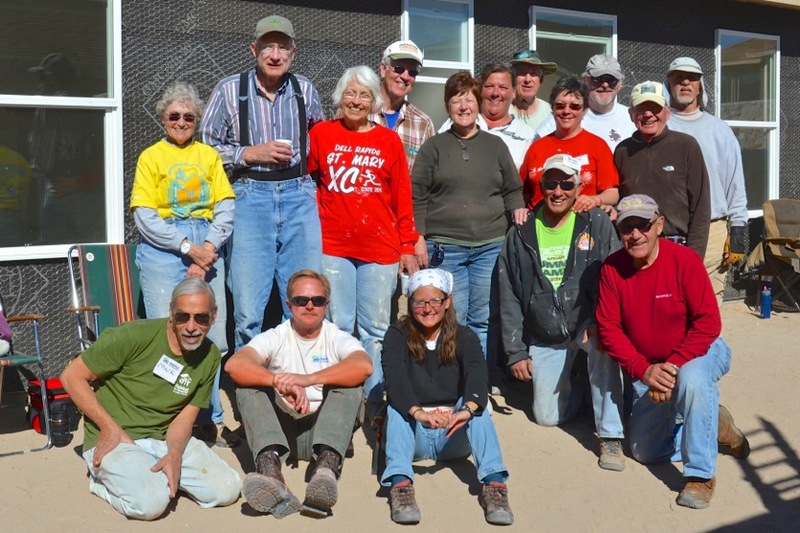 I learned so much from working side by side with these people, most of who travel around the country volunteering on multiple builds every year. They were truly inspiring. You flatter me, Liz! There is plenty I can’t do, but I’m committed to trying to learn what I think is important, especially since I’m fortunate to have such freedom!